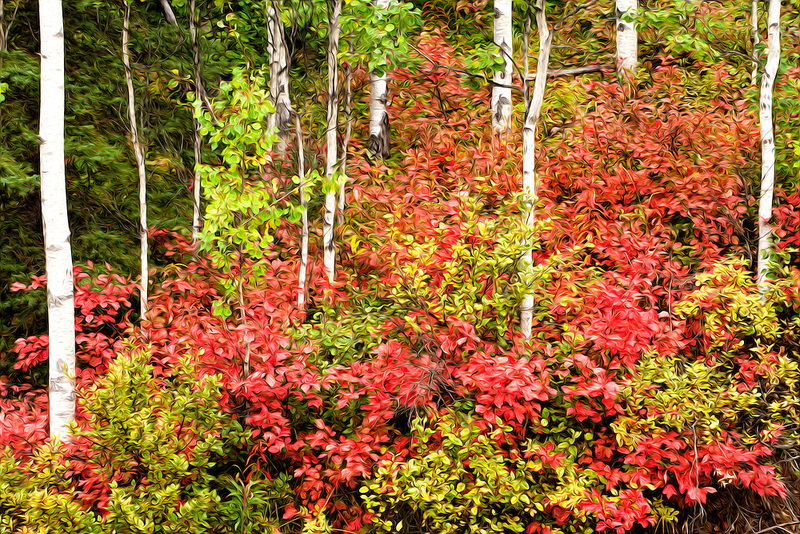 Oil Painting rendition of fall colors of High-bush Cranberry leaves among Aspen trees in Chugach State Park, Eagle River in Southcentral Alaska. Fall. Morning.